To keep people connected across all industries – from schools to hospitals, from manufacturing plants to entertainment venues – we know that the common denominator is the all-important wireless network. As the demand for ubiquitous wireless continues to grow, so has Extreme’s commitment to delivering innovative wireless solutions to help our customers meet their connectivity and business goals. Winston Churchill said that, “If we are together nothing is impossible.” One of the ways we continue to deliver a better experience to our customers is by partnering with best-of-breed OEM vendors, like Senao Networks, to build better wireless products that are delivered in a timely fashion. 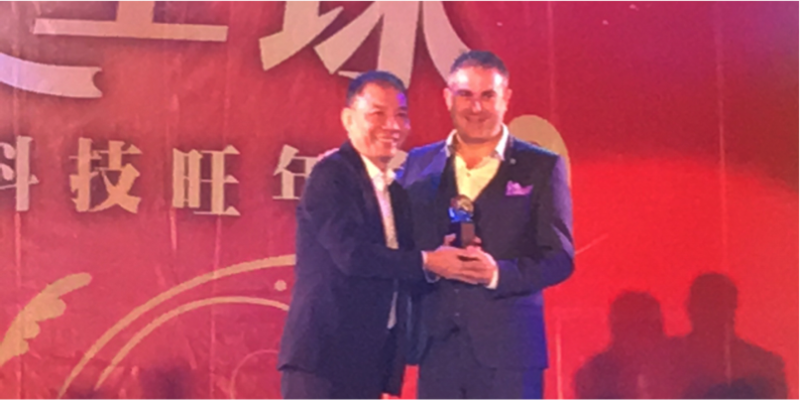 Our close collaboration and partnership with Senoa, a Taiwanese manufacturer of wireless enterprise products, has earned us the prestigious award of “Partner of the Year” for 2016. Extreme receiving an award for partnership in supply chain from Senao. This is the first time that Extreme has been selected as Senao’s Partner of the Year and it is a testament to the work we have done together over the past five years which has resulted in the rapid growth of their wireless business. Laura Chen – Sales Account Manager – Senao Networks. The award showcases Extreme as an innovator and demonstrates our commitment in bringing great Wi-Fi products to our end-users. We will stop at nothing and will go the extra mile when it comes to putting in the extra design work and collaboration that is needed to provide the best user experience for our customers. As one of our largest wireless hardware providers, we work side-by-side with Senao to co-develop products that combine their signature hardware designs which feature high output power, great coverage, best reliability and unparalleled receiver sensitivity and our innovative software that brings network access control, management and analytics. The fruit of this co-creative partnership is innovative, best-in-class products – such as our co-developed camera AP which was released last Fall – that are able to power even the most challenging environments – such as this year’s Super Bowl L1. These innovative wireless products are responsible for creating tens of thousands of secure connections that allow organizations to deliver an incomparable user experience to their customers, patients, students and fans. That’s why Extreme and Senao Networks agree that we are better together! 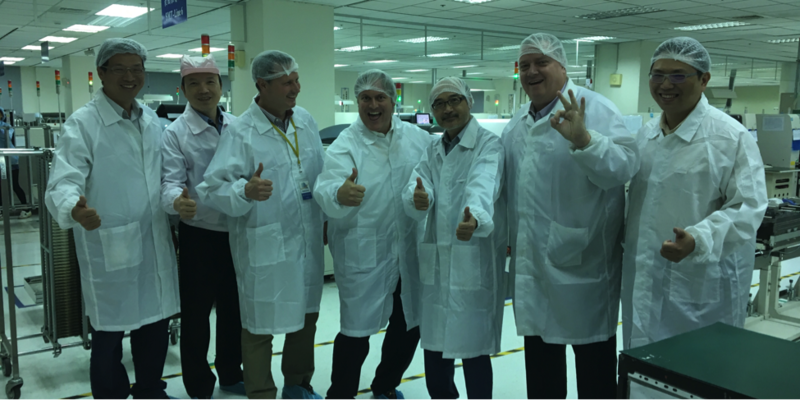 Group photo of Extreme Networks leaders visiting with our WLAN partner, Senao Networks, behind is the production line where Extreme Networks’ products are made.